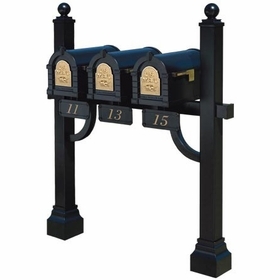 Enhance the aesthetic curb appeal of your lovely abode with the Gaines Classic Column Mailbox. 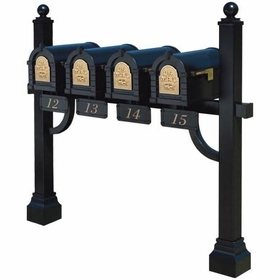 Intricately hand-assembled, the Gaines Classic Column Mailbox is constructed from aluminum castings as well as solid brass. 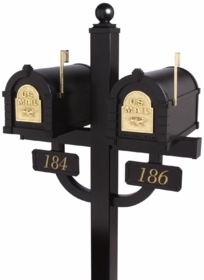 Available in 6 vibrant powder-coated colors, the Gaines Classic Mailbox adds a classic and timeless charm to your home. Two keys for the stainless steel lock are included in all locking Gaines mailboxes. 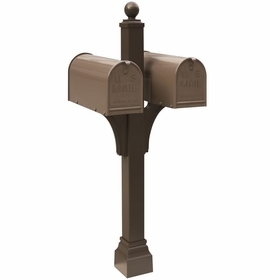 Gaines Classic Column Mailboxes are constructed from durable A360 rust-proof cast aluminum. 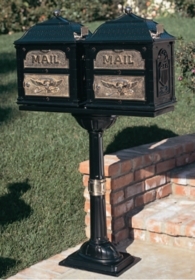 Question: We have the original keystone series mailbox and deluxe double mount post. The arm that the box sits on was broken off at the post where it attaches. 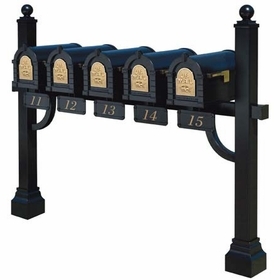 The mailboxes are about 12 years old. I can send you a picture. Can you send the arm? Answer: All individual post components need to be ordered directly from Gaines to make certain you get exactly what you need.